The sage and tequila, wafting together as one, struck my nosebuds hard, stinging and good. Sage kinda looks like a cactus, right? Cacti are, like, Mexican, right? (My cultural references clearly begin and end with Looney Tunes.) Starting obvious, I constructed a pretty standard margarita, replacing regular simple syrup with my sage syrup, going whole hog on the triple sec, adding a dash of honey lemon water as my X factor. Result: too sweet, or at least sweet enough that the sage couldn't really come through. Take two: I stripped down to the basics, ix-naying the triple sec and lemon honey hoo-ha. 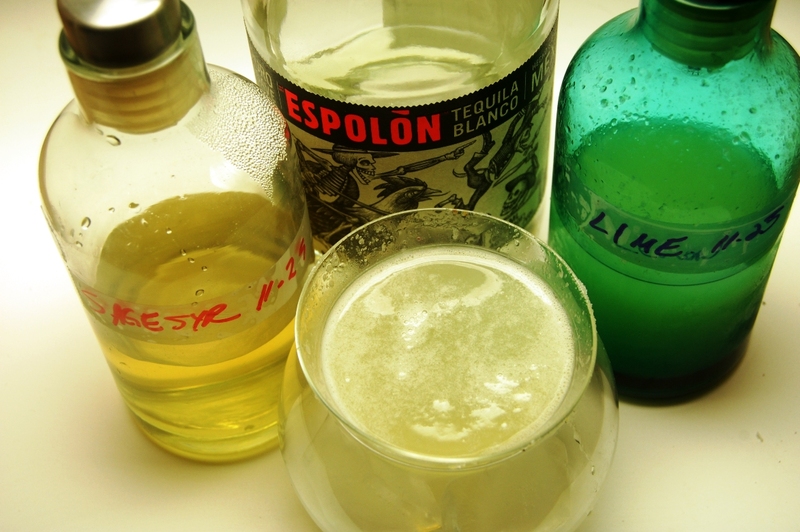 Now after a citrus-sweet jolt on the front end, the cocktail finished with a long, happy marriage of sage-tequila grassy-sourness. Hey, by the way, did you know that margarita means "daisy" in Spanish? How did I never know this? Probably because a) I took French, b) I live in a place where they speak French, and c) they rarely spoke Spanish in Looney Tunes. 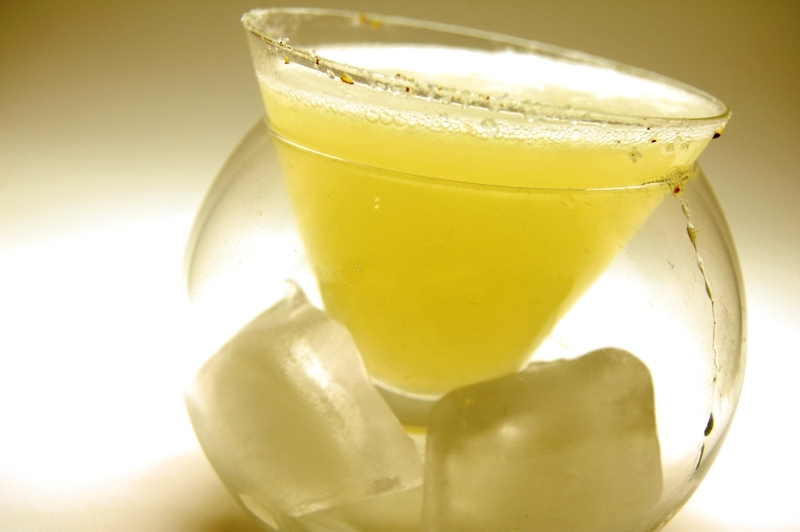 Using a piece of cut lime, sticky up the lip of a martini or cocktail glass and roll in a salt-and-pepper mixture. Set glass aside. Combine all liquid ingredients in an ice-filled cocktail shaker. Shake, then strain into your glass.